Announcing the Interim Budget, acting finance minister Piyush Goyal on Friday proposed that individuals earning up to Rs 5 lakh would get a full tax rebate. This will provide tax saving of up to Rs 12,500 for all taxpayers in this bracket. Those who save more can effectively push this rebate up to an income of Rs 6.5 lakh. 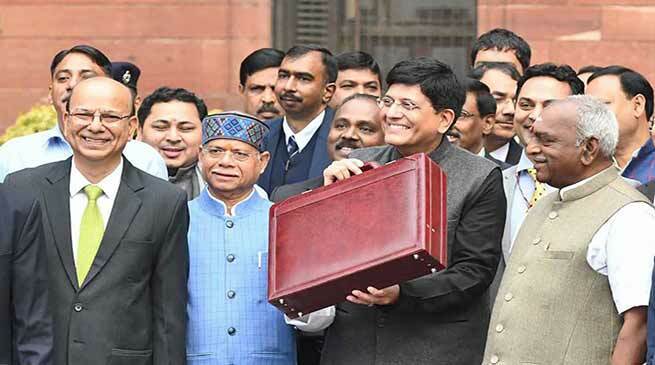 The key highlights of the Interim Budget 2019-20 presented by the Union Minister for Finance, Corporate Affairs, Railways & Coal, Piyush Goyal in Parliament today are here. Pradhan Mantri Shram Yogi Maandhan scheme to ensure fixed monthly pension to 10 crore unorganised sector workers.